Inspired by Morris was a group show of works responding to William Morris' artistic and political legacy. London-based artists were invited to explore the collections, using them as the starting point for their own works. My submission, which was highly commended, challenged the selectors' knowledge of Morris' work. 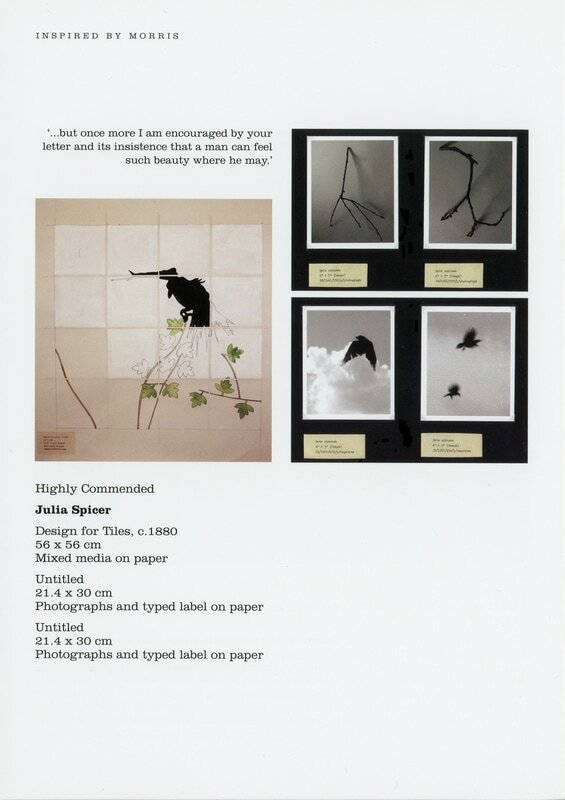 It presented a part-completed design for a set of tiles featuring a crow, photographs of crows and twigs. The typed labels and accompanying text were an integral part of the work which linked Morris with Alfred Hitchcock who was also from the borough. The images below are from the booklet published by the William Morris Gallery to accompany the exhibition which was held at the end of 2010. The text below was printed on A4 and exhibited alongside 'Morris's' works.